There are few winery slogans that can match that of the Alaverdi Monastery in Kakheti, Georgia. To state, “Since 1011” on the label leaves little up for debate that these monks have been making wine for a very, very long time. In fact, it’s most definitely the case that they were making it before the 11th century as old, winemaking ruins have been unearthed on their premises that date back to the 8th century CE. 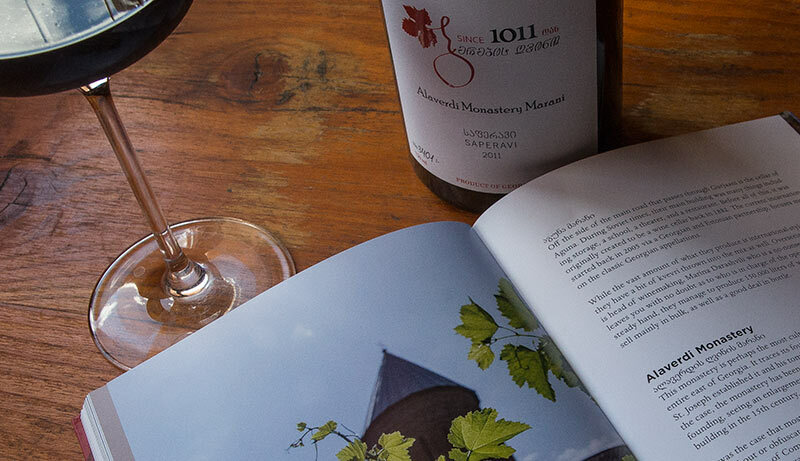 So when researching the new Georgian wine book, I had an appointment set up with Father Gerasim and it was the only appointment that I had that morning as you simply can’t dig into such a wealth of history in such a short time. I had actually intended to visit the monastery on an earlier trip, but it was impossible as when one visits for the wine, one visits for the time needed. But all of this is in the book as the historical importance of Alaverdi can’t be understated. That much I’d expected but I was genuinely surprised by the wines as they’re some of the finest being made in Georgia from kvevri. It doesn’t hurt that they see a much more correct number of years to age (usually at least five) but it’s also that they’re just wonderfully made and show what fine wine potential there actually is in Georgia beyond guys who toss out a sign on the road to sell wine from the kvevri in the backyard of their family home. If you get a chance to taste these wines, I can’t recommend it enough. Dark, dark fruits, stewed prunes, and dark cherry compote, licorice, pinch of tar, and moist forest floor. Medium plus acidity on the palate, crisp and well integrated. Medium finish but with a wealth of brooding tannins that make it optimal and essentially necessary to age longer.